The first vacuum cleaner that we ever owned was the most expensive item on our wedding list and it served us well, over the years. It was a huge, heavy machine and it took all my strength to get it up the stairs (and I needed a fair rest at the top). In recent years, even though it is still working, it has languished at the back of the cupboard. The children, and particularly Biggest, find it too noisy. 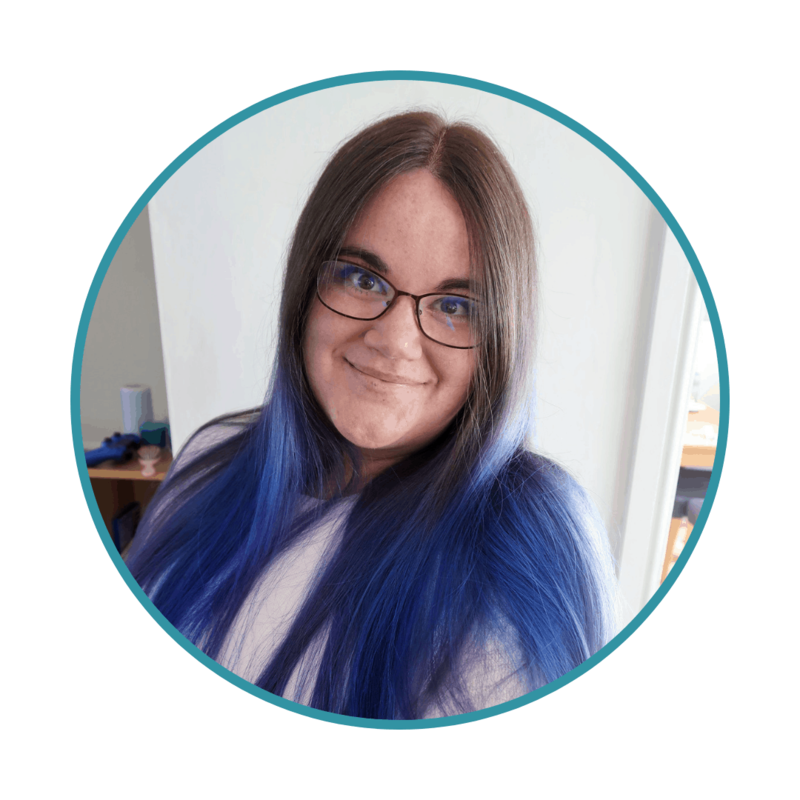 In addition, it is just too big and bulky to manoeuvre and clean up easily around a house with two small children and a puppy. When Beko offered to send us their Cordless Handheld and Upright Vacuum Cleaner Deluxe, I was delighted. We desperately needed a cordless vacuum that was more practical for everyday use. I will be giving readers the chance to win a Beko Cordless Handheld and Upright Vacuum Cleaner next week. Keep an eye out for the giveaway. 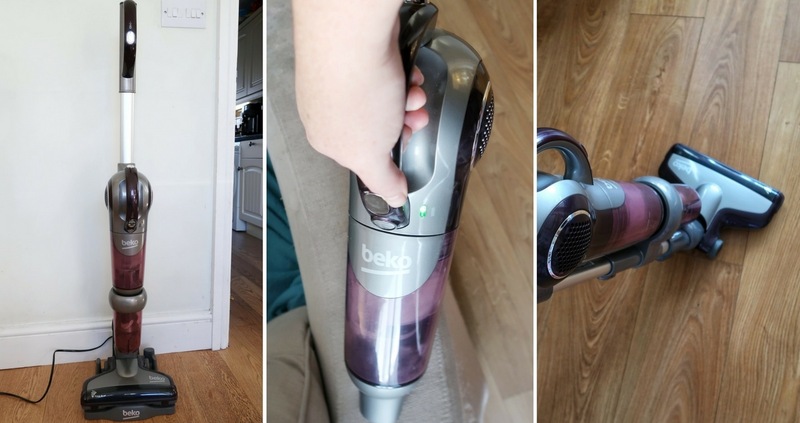 The Beko Cordless Handheld and Upright Vacuum has the great benefit of being very versatile. It is lightweight and easy to use, and can obviously be used as either an upright or handheld vacuum. Beko’s SelfDrive™ technology offers a powerful digital motor in the vacuum head, taking the strain out of vacuuming. This model comes with extenders and 3 extra attachments, helping you to clean even those hard-to-reach spots. 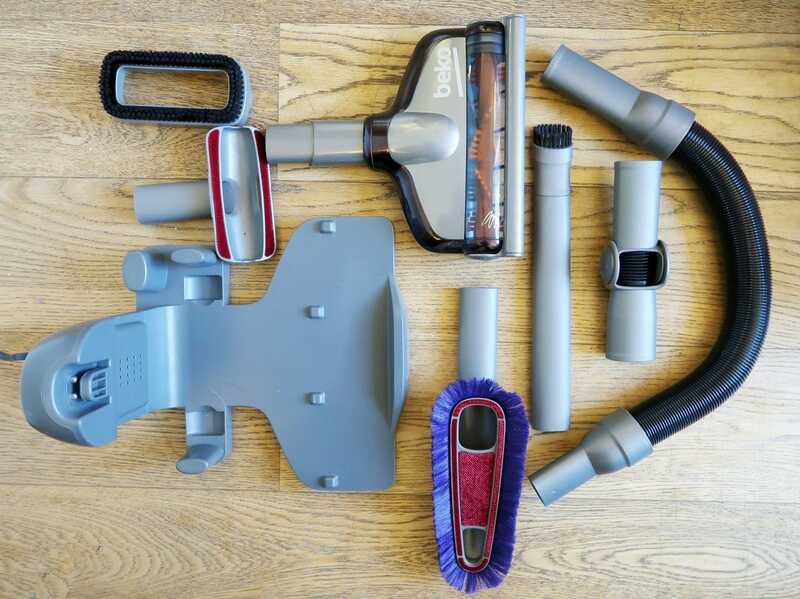 The vacuum cleaner comes with loads of attachments for getting to every kind of surface and corner. The charging station has storage for some, making it really easy to swap around for different jobs. The attachments do not all fit on the stand at once. Therefore, you do have to decide which ones will be used the most and store the others elsewhere. I managed to vacuum our living room (the biggest room in the house) in under two minutes. Not only this, but we regularly manage to thoroughly vacuum the whole house in under half an hour. 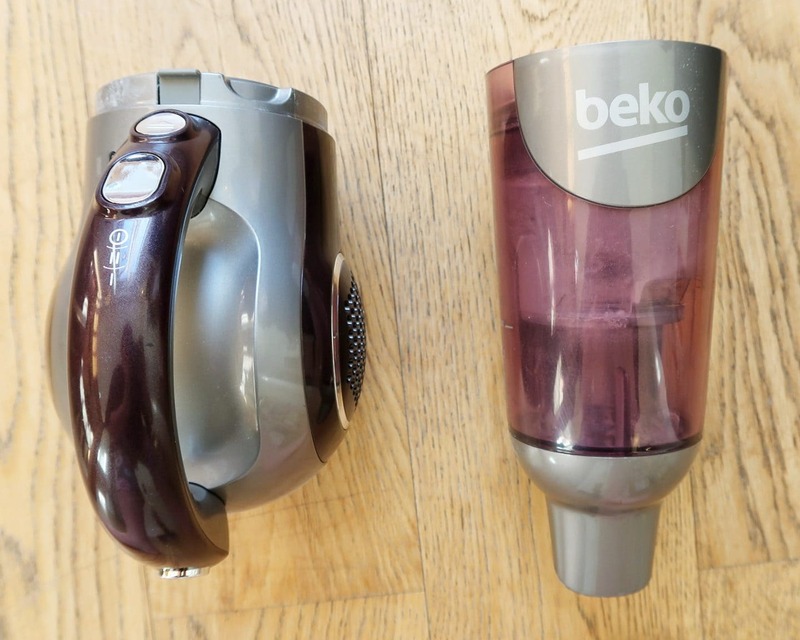 One of the greatest benefits for us, in addition to how quickly a room can be vacuumed, is how quiet the Beko Cordless Handheld & Upright Vacuum is. 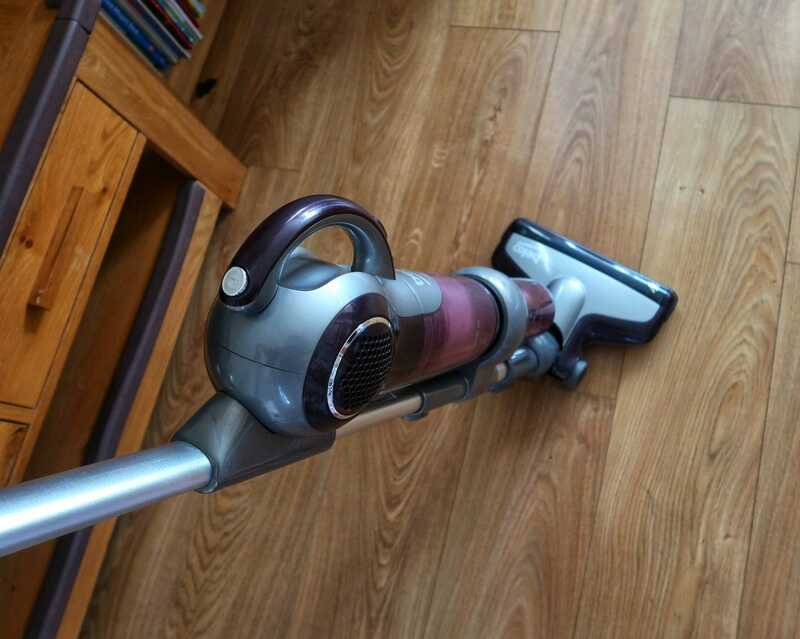 In an autism household, vacuuming can become a harrowing ordeal. With larger, louder models of vacuum, we have simply had to wait until Biggest was out of the house use them. Or, one of us would have to go upstairs and look after Biggest in a closed room, with his ear-defenders on. We would then have to move around the house, making sure Biggest was far from the vacuuming each time. As I am sure you can imagine, this made a difficult and unwelcome chore even more inconvenient and hard to manage. The Beko Cordless Handheld & Upright Vacuum has changed that. We vacuum the whole house in one charge (around 45 minutes). In addition, Biggest is not too upset by the noise and can even tolerate it without his ear-defenders. This means that we now have a vacuum that is much easier to use and we can vacuum every day. The Beko Cordless Vacuum also has the advantage that it is very reasonably priced compared with similar models on the market. However, it is just as easy to use and has the same features. Overall, this is a great family vacuum. Don’t forget to check back in next week when we will be giving one Beko Cordless vacuum away. 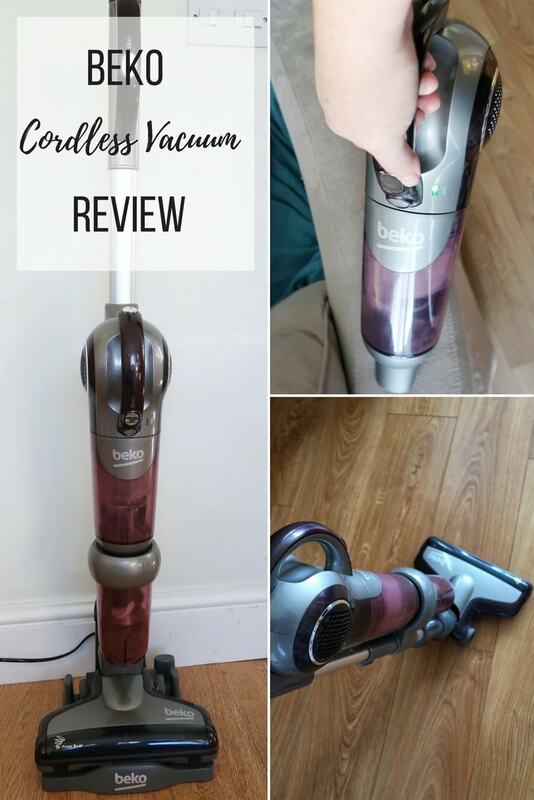 Please note, we were sent this vacuum for the purposes of this review.